The quality of English needles is widely respected around the world, based on a 250-year tradition of skilled craftsmanship passed down from generation to generation. 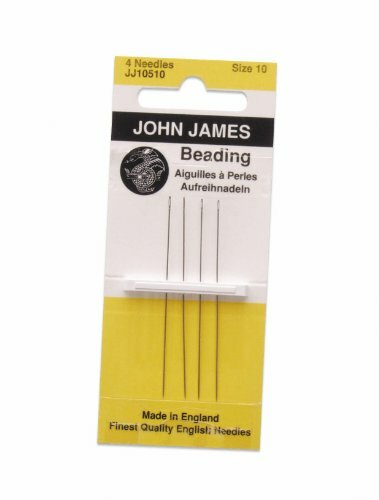 Relatively easy to thread, John James English beading needles are superior quality beading needles and are less likely to bend than cheaper versions. 12 cards included; 4 needles per card. If you have any questions about this product by John James, contact us by completing and submitting the form below. If you are looking for a specif part number, please include it with your message. Big Eye Beading Needles 4/pkg-2.25"